Mission accomplished for Christopher Bell. 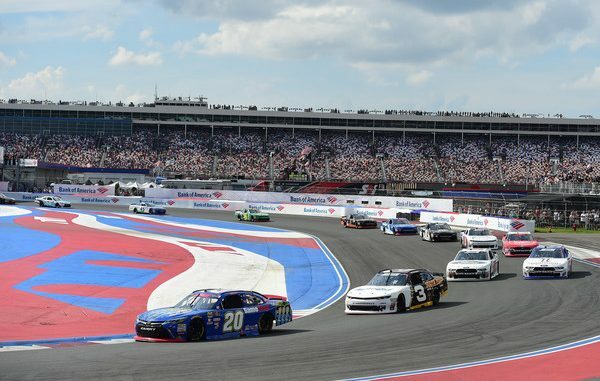 With a victory at Richmond in his pocket and a berth in the second round of the NASCAR Xfinity Series Playoffs guaranteed, Bell was perhaps the only driver who approached Saturday’s Drive for the Cure 200—the inaugural race at the Charlotte Motor Speedway Road Course—without fear of the great unknown. Divergent pit strategies handed Bell the race lead on Lap 27, giving him the chance to win Stage 2, which ended on Lap 30, an collect a Playoff point. Bell finished fifth, as his close friend, Chase Briscoe, picked up his first victory in the series. “I really enjoy running the race track–it’s a really unique race track,” Bell said of the 2.28-mile, 17-turn course. “The infield is really slow and slick, so you have to finesse it, and the backstretch chicane is really fast, and you have to attack it pretty hard.